Sea-level rise, sediment starvation and other environmental woes pose increasing threats to coastal wetlands worldwide. But a massive new Duke University study could help stem these losses by giving scientists a broader understanding of which wetlands are most at risk, and why. The study, which assessed wetland distribution and resilience in hundreds of U.S. estuaries, found that it's all a matter of scale. 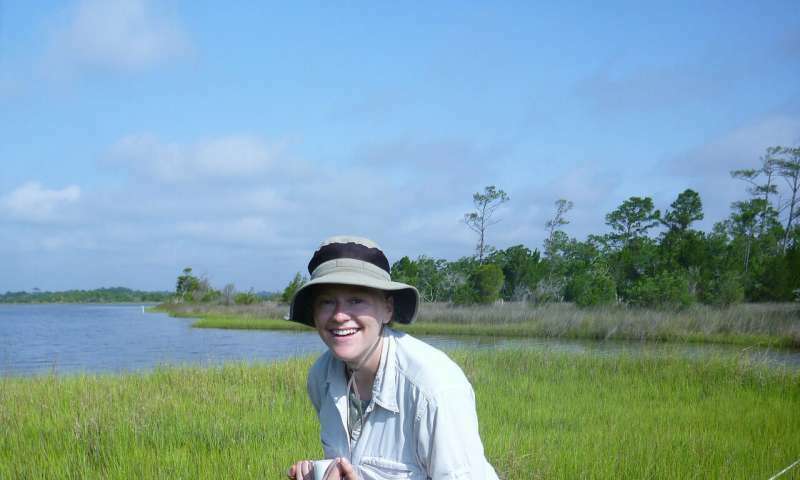 "At the local level, the persistence or loss of coastal marshes was invariably linked to feedbacks between two factors: erosion, which eats away at marsh edges, and vegetation, which stabilizes them," said Anna E. Braswell, a Ph.D. graduate of Duke's Nicholas School of the Environment, who conducted the research as part of her 2017 dissertation. "But at broader spatial scales, other key drivers emerged, too." 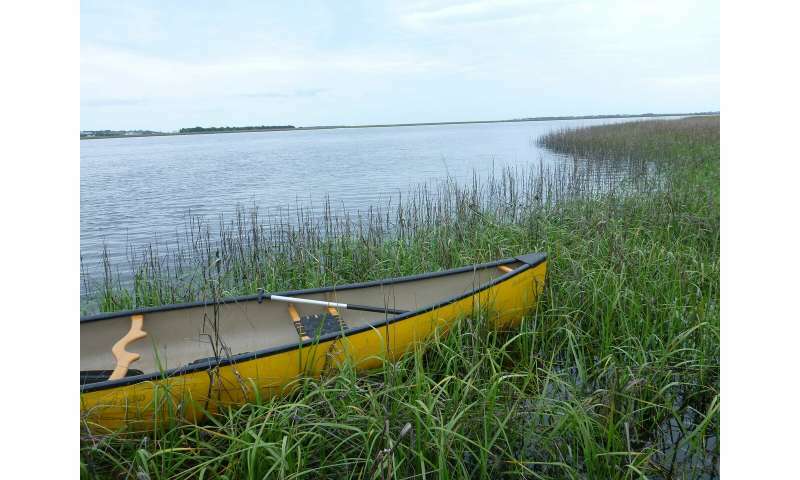 As the researchers took more of an estuary's surrounding geography into account, the depth, size, shape and latitude of the estuary became increasingly important predictors for determining the extent of wetlands it could support, Braswell said. The shape and orientation of the nearby coastline and the depth of near-shore waters mattered, too. And the amount of replenishing sediment being carried into the estuary by rivers or incoming tides became a key indicator of marshes' resilience to change. "These macro-scale coastal and watershed characteristics accentuated or limited the stabilizing impacts of the local feedbacks," she said. "But they weren't really evident until we took a few steps back and viewed the estuaries from broader spatial perspectives." "What this tells us is that salt marshes everywhere probably have tipping points," said co-author James B. Heffernan, assistant professor of ecosystem ecology and ecohydrology at the Nicholas School. "Knowing what causes these tipping points to vary from location to location is an important step in identifying where we should expect marshes to be especially vulnerable to future change," he said. "It also provides a framework for understanding where wetland restoration is likely or not likely to succeed." Braswell and Heffernan published their peer-reviewed findings Jan. 31 in the journal Ecosystems. Using existing geospatial data, they analyzed hundreds of estuaries on the U.S. Atlantic and Gulf coasts from Maine to Mexico to determine the fraction of each estuary that was occupied by wetlands and identify the factors that controlled the extent of the wetlands' spread and their resilience to change. Each site was analyzed at five different geographic scales—from macro-analyses that covered the entire estuary and its adjacent coastline and watersheds, to fine-scale analyses that zeroed in on what was happening in small, individual tributaries. "Integrating data from five different scales allowed us to see patterns and linkages that we would have missed otherwise," said Braswell, who now works as a research scientist in the Earth Lab at the University of Colorado at Boulder. "This information will be vital for future preservation and restoration efforts." Braswell and Heffernan used data from the National Wetlands Inventory and other publicly accessible sources to do their analyses. The five spatial scales they used—sub-region, basin, sub-basin, watershed and sub-watershed—correspond to standard U.S. Geological Survey hydrological units.